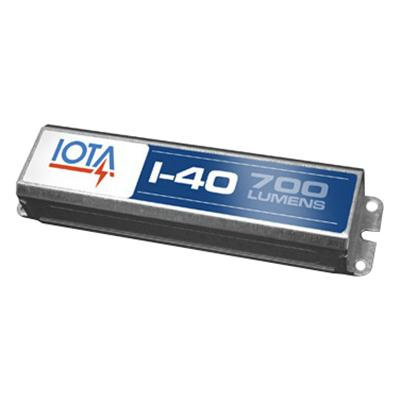 Iota Fluorescent emergency ballast is suitable to use with T8 thru T12 lamp. It has voltage rating of 120 - 277-Volts. Cold start ballast features galvanized steel case. Ballast operates at the frequency rating of 60-Hz. Ballast measures 9.5-Inch x 2.4-Inch x 1.5-Inch. Time delay feature ensures compatibility with end-of-lamp life circuitry. Open circuit isolation safeguards unit when load is absent. It withstands temperature rating of 0 to 50 deg C. Ballast is UL/cUL listed, RoHS compliant and meets NEC/IBC/Life Safety Code Emergency Lighting standards.